People with HIV need to take medications (highly active antiretroviral therapy - HAART) in accordance with the prescribed regimen to achieve effective treatment of HIV. The successful outcome of therapy depends upon patients' adherence to treatment recommendations: regularity of medication intake, adherence to dosing regimen, continuity of treatment and compliance. If a person takes HAART on a regular basis, the medication concentration in the blood is sufficient to suppress and prevent viral replication. Medications to treat HIV help keep the virus under control, but they may also have other health effects. Undesired harmful effects resulting from a medication are called side effects. People are often afraid to start treatment because of the possible manifestations of side effects, even though the HIV may progress without it. There are currently enough modern effective medications, and among them one can always choose the therapy regimen in which a side effect will be minimized or completely absent. 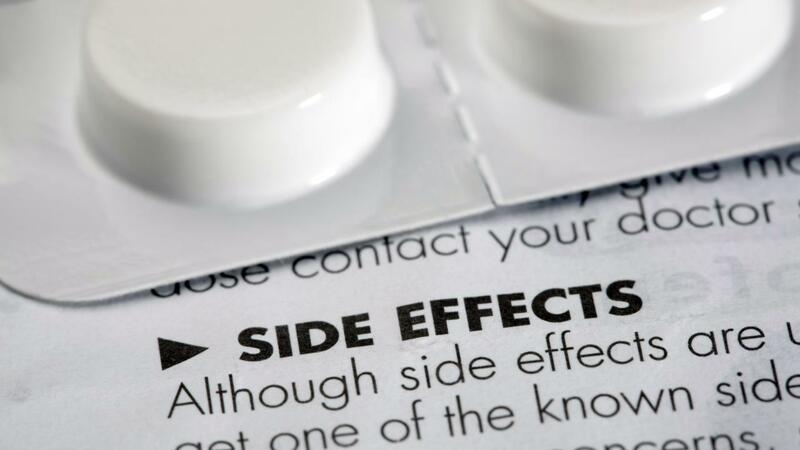 During the stage of adaptation to a new medication, a person may sometimes experience short-term side effects such as diarrhea, nausea, fatigue or restless sleep. These side effects typically disappear in a few weeks. Long-term side effects from HAART are observed infrequently. Some women receiving antiretroviral drugs may experience irregularities in the menstrual cycle in the form of irregular menstruation, heavy bleeding and weight loss. In this situation, doctors recommend to get full screening for other diseases, revise their dietary regimen, and get advice about taking other drugs in addition to HAART. In most cases, the cause of side effects can be identified and the problem managed through suggestion of appropriate therapy. Some people with HIV may experience weight loss. This occurs when one takes in fewer nutrients than are consumed. There are many reasons for this: an increased metabolism (body needs time to adjust to administration of HAART), intestinal infections, lack of appetite and feeling ill. It is recommended that people with HIV, who are taking therapy, monitor their health condition and report any emerging side effects to their doctor. If a side effect negatively impacts the quality of life, it is necessary to consult with a physician about a more optimal dosage regimen. In the absence of any objections on the part of the specialist and other impediments for replacement of dosage regimen, the medication causing side effects is replaced by another one with similar actions. Unfortunately, sometimes it is difficult to determine exactly which medication causes side effects in the therapy, so sometimes it is necessary to repeat the procedure a few times. According to recommendations of the attending physician, first one medication should be replaced, followed by a waiting period of 2-3 months and if there has been no improvement, a different medication is replaced and the cycle repeats until the problematic medication is identified. Some medications from the HAART regimen may have side effects that impact performance, perseverance and concentration, so when selecting a medication, it is important to consider the professional activities of the person, especially those activities that are associated with specific working conditions or requiring high levels of concentration. In such cases, it is recommend to inform the doctor about work conditions/requirements and initially choose a HAART regimen that doesn’t cause any side effects that impact performance effectiveness. Also, if taking other medications, in addition to HAART, or taking chemotherapy for tuberculosis, a doctor should be consulted regarding the interaction of pharmaceutical components, as in this case, side effects may be experienced.